Pharma is one of the more mature industry segments that has been deploying IT effectively to overcome business challenges. Lupin Ltd is one of the leading Indian pharma companies that produces a wide range of quality, affordable generic and branded formulations as well as APIs for developed and developing markets around the world. 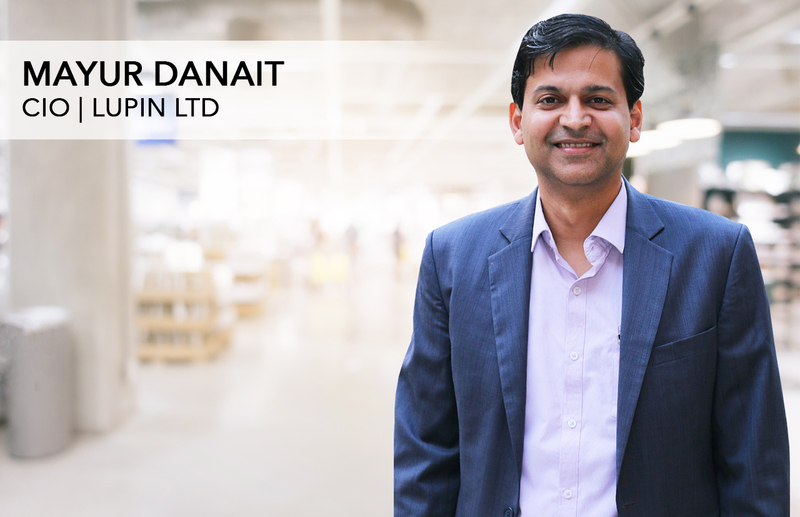 Mayur Danait, CIO, Lupin Ltd, has been leading business transformation at the company since 2010. We spoke to him to find out how the company is gearing up for emerging business challenges and the IT roadmap he has envisioned to overcome these. What are the key business challenges Lupin will face in 2019 and how do you plan to deploy IT to solve these problems? The key challenges Lupin will face in 2019 are to improve operational efficiencies and to further enhance our quality and compliance systems at our R&D and manufacturing facilities. This will be achieved through a mix of process, workflow, laboratory and shop floor automation, with analytics playing a key role in improving the quality of decision making. We expect this automation to span the entire value chain—from R&D, Manufacturing, Supply Chain and Sales, with support functions like Finance and HR also playing a key role. Where are you in terms of deploying analytics to solve your business challenges? Is it mostly descriptive and predictive analytics or do you see merit in moving to adaptive/ prescriptive analytics? We have done a lot of work in enabling business performance and operational metrics using the QlikView platform. There are significant areas of the business that are touchless from a business reporting perspective. However, it has to be said that we are still largely in the descriptive analytics domain, and perhaps scratching the surface when it comes to predictive analytics. You have embraced cloud by moving some of your workloads to it. How do you ensure that doesn't affect your compliance requirements? We have clear guidelines that we follow when we move any workload to the cloud. There are regulatory and statutory compliances to be considered. For regulatory compliance, we need to ensure that any systems that potentially impact product quality need to stay validated at all times. For statutory compliances, we need to stay on the right side of government legislation on the residence, jurisdiction, and privacy of data. If we find a red flag in meeting any of these compliances, we prefer to take the conservative decision of staying on-premises. Is compliance an impediment when you try ushering in technological innovations? How do you circumvent the barriers? This would totally depend on the business context, and the nature of the technology enabling the innovation. For example, the use of AI in situations that could potentially cause varying system behaviour is an issue. A self-learning algorithm could start with 80 per cent accuracy and then go higher—and this could be a problem in an environment where the cause and effect need to be clearly defined. But on the same shop floor, the use of industrial IoT is a welcome innovation simply because it allows for much higher levels of process and data integrity. Of course, there are support functions like HR, Finance, etc where there is no impediment at all to the deployment of RPA, chatbots, etc—which we are working to adopt in a significant way. Digital is what enterprises are trying to transition to. How can the pharma sector benefit by digital transformation? What are the innovations we will get to see in this sector? There are plenty of digital use cases in pharma across the value chain—from R&D and Drug Development, to Manufacturing, Supply Chain, and to Patient Care. Some examples that we are already seeing in this space include wearables that will address health, wellness, prevention, and disease identification via patient activity and vitals. Embedded sensors will be deployed for tracking patient medication and adherence. Telemedicine will play a major role in connecting the doctor and patient ecosystem to provide both reach and scale. IoT will find application in the manufacturing process, driving compliance and efficiencies. Blockchain will be deployed in the drug supply chain as an effective anti-counterfeit solution.